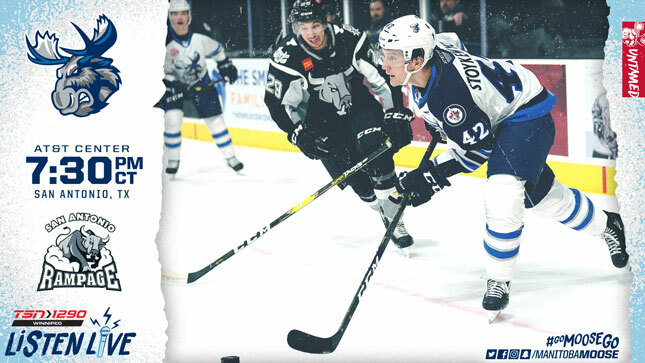 The Manitoba Moose (33-28-4-2) are in San Antonio tonight for the first of back-to-back games to finish off their season series with the Rampage (27-34-6-1). The 7:30 p.m. CT puck drop is available on TSN 1290, moosehockey.com/listenlive/, the Moose App, or streaming live on AHLTV. The Moose last played Wednesday night, in a disappointing 3-2 loss to the Texas Stars. Manitoba was down by a goal after the first period, but tied the game up in the second on Marko Dano’s 12th goal of the season. Just over five minutes into the third, Seth Griffith gave the Moose their first lead of the night, but it didn’t last long. Two Stars goals scored 34 seconds apart cost Manitoba two points, knocking them back down the standings in the incredibly tight Central Division playoff race. Dano described the emotional roller-coaster that was Wednesday’s loss. The two Moose goal scorers have turned up their production lately. Dano has nine points (4G, 5A) over the last 10 games, while Griffith has a point in each of the last three games (1G, 2A), all of which were a part of this crucial road trip. In San Antonio, the Moose face a team they hold a 4-2-0-0 record against. Manitoba has a 10-game, home winning streak against the Rampage but haven’t beaten them in two tries at the AT&T Center this season. Mason Appleton hasn’t seen the Rampage since Nov. 13. Despite only having played them three times, Appleton has racked up six points (3G, 3A) in the season series. On the San Antonio side, Austin Poganski (2G, 3A) and Chris Butler (1G, 4A) have done the most damage against the Moose in 2018-19. While San Antonio has fallen to eighth in the division, 12 points back of the final playoff spot, the Moose sit just one point behind Milwaukee and Texas with a game-in-hand on the Admirals, and two on the Stars. Dano asserted that regardless of the result of the game against the Stars, Manitoba’s goal hasn’t changed and neither will their drive. The Moose wrap up the five-game road trip tomorrow night at 7 pm. CT against the Rampage squad. Afterwards, the Moose return to Winnipeg for their final homestand of the season which begins April 2, against the Bakersfield Condors. 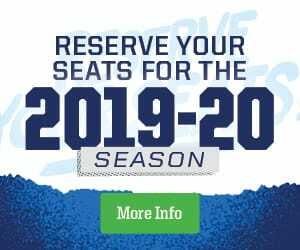 Head to moosehockey.com/tickets/ for tickets.